More from Patrick Ishmael here. As we quickly approach the next cycle in the Presidential sweepstakes, we begin to hear all the usual BS from the lamestream media. This candidate is leading here, this candidate is losing ground there, this candidate needs to run, blah, blah, blah. The lamestream media is desperately trying to foist an “acceptable” candidate onto the GOP. Within the last few days, there has been speculation about Rick Perry, Jim DeMint and Jeb Bush. It is a siren’s call to ruin and the lamestream media knows it. What will happen in the next 6 months will be key. Potential candidates will test the waters, like Herman Cain and Rudy Guliani. Sad to say, but all will fail, not proven in battle. Their stories will be footnotes in the lead-up to 2012. In six months, we will see a dwindling field as the lamestream media takes its toll on their highlighted candidates. Who remains standing will tell all. In my mind, there is only one candidate that has already shown the ability to do battle AND prevail against the lamestream media. Reared in individualism and steeped in conservatism, this candidate has already shown the ability to fend off the inevitable attacks that will confront ANY Republican candidate. When the lamestream media is done propping up countless alternatives that end up crashing and burning, only one candidate is positioned to rise above the inferno and prevail: Sarah Palin. Why will this happen? It’s because of the vast army of supporters that are waiting in the wings to defend her when the time comes. Does Mitt Romney own Facebook in the way that Sarah Palin does? Has ANY other Republican harnessed the power of alternative media the way that Sarah has? We have ALL crossed the Rubicon in dismissing the lamestream media and pursuing the truth through alternative media. In fact, the lamestream media’s business model is struggling to compensate and continues to show signs of irrelevance by shifting its dwindling assets towards polarizing venues. They obviously learned nothing from the 2010 elections. The question is: Can Sarah Palin prevail in a general election? Does she have a gathering army awaiting her call? The answer to both is YES and I am but one. The advance of technology is amazing. In just a few short years, the Internet has transformed American society. Some may say for the bad, but from my perspective, it’s all for the good. We now share photos and videos online while corresponding to family, friends and associates through various social media. We shop online, research projects online and obtain our news online. We do all these things in the here and now, as we need to. Remember email? I defy you to find a teenager that has sent an email in the last 12 months. Their preferred means to communicate is by sending text messages on their cellphones or, as they get older, linking up on Facebook. By the time adults hear about anything having to do with anything related to school, kids have already disseminated all things related to, well, whatever. In a teenager’s world, communication is immediate, relevant and proactive. After all, no teenager wants to be behind the curve on breaking news! For adults, how does this technology aid us? After all is said and done, baby-boomers are certainly tech-savvy while our parents are still trying to figure out email, albeit grudgingly. The point is that they WANT to learn. Their world has been defined by the nightly news, hand-written letters and the Sears catalog. They are desperate to gain access to all that is going on. Why? Because, like teenagers, no one wants to be behind the curve when it comes to news. Now, all of a sudden, we have iPods, iPads, laptops, computers and all sorts of things that make accessing the Internet fairly simple. Baby-boomers have taken notice. They no longer rely on the nightly news to find out the “truth”, which used to be called “the news”. They have cable, satellite and fiber optics to access programming. They have Netflix, Hulu and other outlets to access, well, whatever. All major retail outlets have websites that you can buy from or peruse before you buy at the store. In a world of instant access, the mainstream media is being shown to wear The Emperor’s New Clothes. In light of the horrific act that took place in Tucson at a Congresswoman’s event at a neighborhood grocery store, a vast majority of Americans dismissed the mainstream media’s reporting. They dismissed the ridiculous assertions that Sarah Palin had somehow “incited” a shooting because she used the metaphor of “targeting” on her PAC website during the 2010 elections. They dismissed any suggestion that the Tea Party was responsible. They learned the truth from their contacts on the Internet. They did what teenagers do and searched out the truth from sources they felt comfortable with. If you think that this event is an anomaly, think again. More Americans are choosing to obtain the “truth” from their own research on the Internet than ever before. My 88 year-old mother just sent me a message (on the iPad she got for Christmas) that she identified me as her son on Facebook. She’s trying very hard to be a part of the goings-on, despite her failing eyesight. She not unlike the teenager that just doesn’t want to be the last person to hear about what’s going on. In fact, she’s like everyone of us: she doesn’t like not knowing. She just wants to know the truth. To her, The Emperor’s New Clothes aren’t there. I watched the C-Span coverage of Sarah’s speech, which was excellent, by the way. It was that quote after the speech that really got my attention. She said it unequivocally and honestly. I guarantee you that her comment will be all over the Internet and ignored by the LSM. Just you wait! Correction: I originally stated that Sarah Palin was speaking in Iowa City. I’ve changed it to Des Moines. Good thinking, Mr. Nichols. Too bad you listened to the JournoList hype. But welcome to the right side of the argument! Slowly but surely, and admittedly without much competition, Sarah Palin is emerging as the most serious and effective player in the Republican Party. But Palin’s endorsements in Republican primaries—her most significant political initiative since resigning her post in Alaska last year—have been more adventurous and more successful than her critics (and some of her allies) choose to imagine. Palin’s picks are eclectic, some Tea Partisans and neo-libertarians (think Kentucky Senate candidate Rand Paul), some relatively mainstream conservatives (think California Senate candidate Carly Fiorina) running against Tea Party allies. Some have been predictable frontrunners, but others are back-of-the-pack outsiders. What has been most distinctive about her endorsements is a penchant for advancing the prospects of conservative women whose candidacies are changing the “good-old-boy” face of the party, particularly in the South. Much has been made of the Alaskan’s early and steady backing of South Carolina gubernatorial candidate Nikki Haley, who faced opposition from significant elements within the party establishment and (as the state’s June primary approached) a steady stream of personal abuse from old-school Republicans. Haley was always a solid contender. 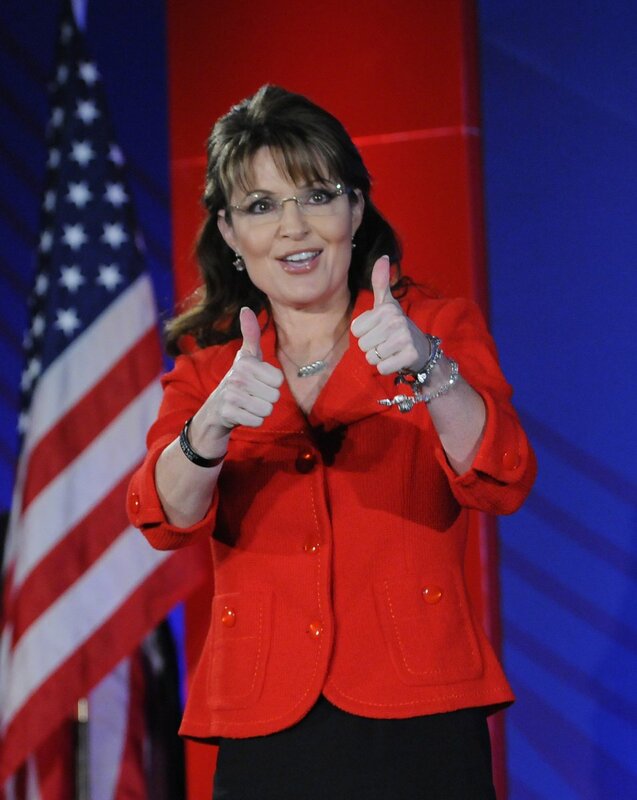 But even after she took her hits she coasted to easy primary and runoff wins with Palin at her side. On Tuesday, in an even bigger test, she had an even bigger impact. Palin’s late-in-the-game endorsement of former Georgia Secretary of State Karen Handel shook up that state’s crowded GOP primary for governor. Here’s evidence of Palin Power: in early July polling, Handel was trailing far behind the race’s frontrunner, state Insurance commissioner John Oxendine, and was struggling for second-place position with another runner, former Congressman Nathan Deal. When the votes were counted Tuesday night, however, Handel was a big winner—finishing in first when a substantial lead over Deal, who she is expected to face in an August 10 runoff. The frontrunner of two weeks ago, Oxendine, was training far behind. What made the difference for Handel? “The Palin endorsement definitely helped,” Brad Coker, managing director of Mason-Dixon Polling & Research, which conducted the surveys on the race for Georgia newspapers, told the Journal-Constitution. Handel’s first-place finish positions her as the frontrunner in the Republican runoff fight (which is required when no candidate secures more than 50 percent in the first round), as Haley did in South Carolina. And if she wins it will be as a Palin protégé—with a website that urges voters to “Join Sarah and Support Karen” and television ads that reprise Palin’s lipstick lingo from the 2008 Republican National Convention. Are we seeing a pattern here? Tuesday’s voting in Georgia was telling. There’s not much question that Handel has Palin to thank for at least some of her success; the last Mason-Dixon poll found that 30 percent of Republicans said they were more likely to back Handel because of the Palin endorsement. Only 2 percent suggested they were less likely to back Palin’s pick. This is a pattern that extends beyond Georgia, and it has serious political observers, like Merle Black, the political science professor at Emory University and historian of Southern politics, suggesting that Palin’s stamp of approval really is becoming a serious factor in GOP primaries. “Palin has a very intense, loyal following among Republican primary voters,” argues Black. 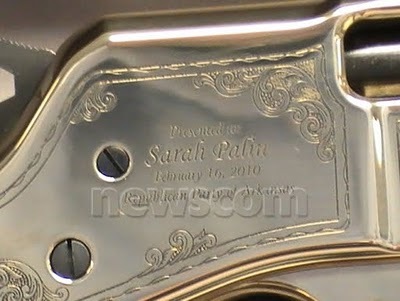 What is perhaps most significant about Palin is that she is not taking the easy route when it comes to endorsements. She is wading into contests where the supposedly “smart” move would be to stay clear. That’s a mark either of a fool or a bold political player. To be sure, there have been missteps. One of Palin’s picks, Idaho Congressional contender Vaughn Ward, melted down spectacularly after he got caught plagiarizing speeches by Barack Obama (kind of a deal-breaker with a lot of Republicans) and imagining that Puerto Rico was a foreign country. And her endorsed Congressional candidates in special elections against Democrats have been notably unsuccessful: New York Conservative Doug Hoffman in a traditionally Republican seat last fall and Republican Tim Burns lost a Pennsylvania race where GOP aides thought they would be competitive. Palin has also stirred some resentment by backing establishment candidates such as former Iowa Governor Terry Branstad, whose comeback bid received a boost from the Alaskan prior to a June primary in which he beat more rigidly conservative contenders. The same thing happened in California, where her endorsement of millionaire Republican US Senate candidate Fiorina upset Tea Party activists who were backing a more consistent conservative, state Senator Chuck DeVore. What this adds up to is significant. 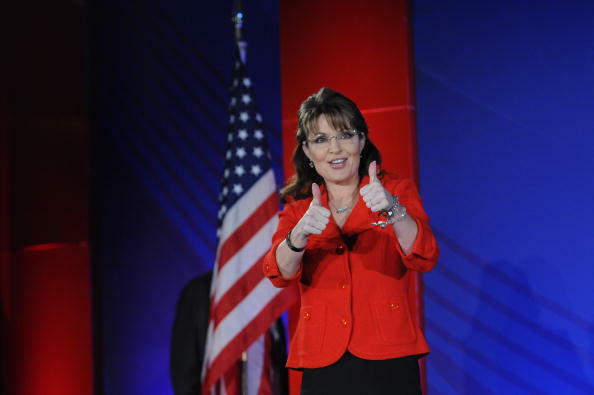 If Branstad wins in Iowa, Palin will have a friendly governor in the first caucus state of the 2012 Republican presidential race. And if Fiorina wins, she will have an important ally in the state that will send the largest delegation to the party’s convention. If she brings a solid base out of the South—with help from the likes of Haley in South Carolina and Handel in Georgia—it will be a lot harder to write Palin off. After Palin’s political crack-up in 2008, and as someone who has reported on her ethically challenged tenure as Alaska’s governor, I was (like many Republicans) skeptical about her ability to master the intricacies of Republican primary politics on the national level—an essential first step in a presidential bid. But Handel’s finish on Tuesday, in combination with the other results she has contributed to, argue for a rethink. The safer bet until recently was that Palin would opt out of the 2012 race, in order to keep making money and, perhaps, to position herself for a future run. But, like Ronald Reagan heading into the 1976 and 1980 Republican presidential primaries, she is beginning to establish a network of connections—and evidence of political savvy and influence—that make it harder and harder to dismiss her as a real prospect. Juxtaposed against the gang-that-couldn’t-shoot-straight nature of the rest of the Republican 2012 pack, Palin is emerging as her party’s most potent prospect. A favorable result from Georgia will merely add to the argument that it is time to accept that Palin is becoming the definitional player in the GOP—much as another conservative outrider, and former governor, named Reagan was in the late 1970s. The Republican primary runoff for the Georgia governor’s race will take place on August 10. Help Karen Handel finish with a double digit win! Go here to donate or to volunteer your time for phone bank and other campaign activities. You do not have to be from Georgia to volunteer – just to vote. The Georgia runoff between Karen Handel and Nathan Deal is shaping up to be a very interesting contest. 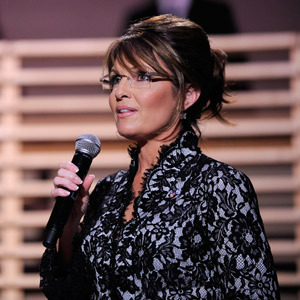 Each candidate is backed by one of two potential 2012 Presidential contenders – Sarah Palin and Newt Gingrich. The results of the runoff will undoubtedly be seen as both a victory for the actual winner and a vote of confidence for the national political figure who backed her or him. The Aug. 10 runoff for the Republican nominee for Georgia governor may not just be a test between candidates Karen Handel and Nathan Deal. It may also be a test of strength between Sarah Palin and Newt Gingrich. The two are potential presidential rivals in 2012 — and have endorsed different candidates in the Georgia gubernatorial race, with Palin backing Handel and Gingrich behind Deal. It will be an early test of brand loyalty for both — particularly Gingrich, considering this is his home state. But it will also be a test of Palin’s power, which seems to be on the rise. Pundits so far are saying this might be the “year of the woman” — especially the conservative woman. Could be. But it could also be a precursor to a Palin presidential run. Consider: If she continues to back winners, she’ll have an awful lot of elected officials by 2012 who may feel obliged to back her for the White House. Swing is more than just a dance, or a playground activity. Georgians saw an unprecedented swing during the Republican gubernatorial primary. Fifteen points of swing for Karen Handel, mostly at the expense of state insurance commissioner John Oxendine. According to a Mason-Dixon poll released on July 11th, Commissioner Oxendine held an eight point lead. Then something happened. The next poll showed Ms. Handel up by seven points. That is a surge that would make General David Petraeus proud. In fact, the Handel surge was far less likely than our success in Iraq. As a former political consultant, I would first ask what Oxendine did to drop in the polls like that. A 15 point electoral swing doesn’t occur very often, and certainly not without scandal. So what did “Ox” do? Nothing. He worked the election as he had every other election. He kissed babies and shook hands. He made friends and was careful to make no new enemies. He was the consummate candidate. All was going well. So, if Ox didn’t mess up, what did Ms. Handel do? She also kissed babies and shook hands, but that doesn’t get you 15 points. Frankly, she could have pulled Falcons QB Matt Ryan out of a burning building and not picked up 15 points amongst Falcon fans, let alone likely voters. Don’t get me wrong — I didn’t vote for Oxendine. I actually voted for Handel. I’m a conservative, and I like Handel’s stance on just about everything. My intent is not to belittle her achievement. My intent is to give credit where credit is due, but there is more to it than that. I also want to tweak some liberal noses. The tweak comes with a message, and the message is beware of the dog. The swing occurred after the self-affirmed pit bull in lipstick, Sarah Palin, endorsed Ms. Handel. After the endorsement, Handel was the beneficiary of a 15 point bump in the polls. The ‘Saracuda’ struck again, this time leaving Oxendine gutted and bleeding out in Lake Lanier. There have been Saracuda attacks all across the nation, but none as bloody or important as this one. While Commissioner Oxendine ponders his job options, Nathan Deal waits for the inevitable defeat. This may well be a done deal at this point. Former Governor Roy Barnes is not worrying about Nathan Deal right now. He may not even be worrying about Handel. I assure he is watching Sarah Palin’s travel itinerary. When will she be back in Georgia? Will it be in November? It’s bad enough he is a Democrat trying to weather one of the angriest anti-liberal swells in recent times, but now he has to deal with a movement and it’s default leader. Movements are not something politicians want to be on the wrong side of, and Barnes is on the wrong side of the Tea Party. Angry conservatives are lining up their opponents and taking no prisoners. 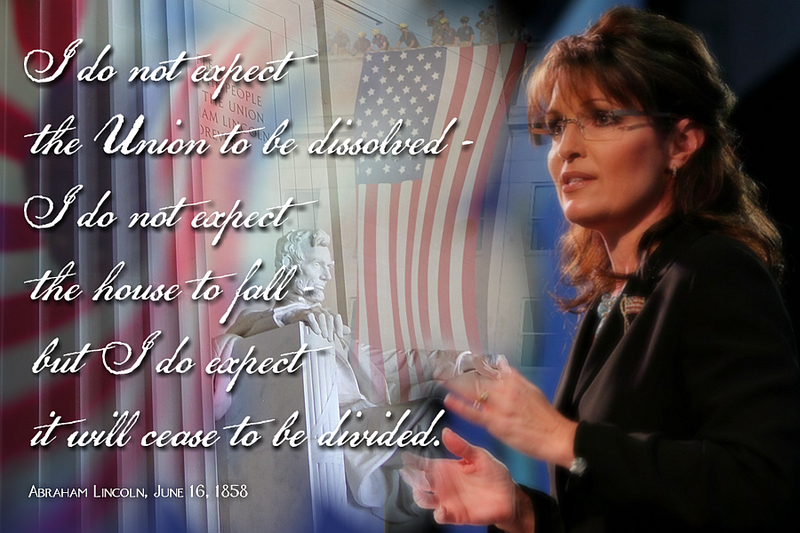 Sara Palin knows this, and is happy to speak to the nascent movement. One sentence at a Tea Party event calling Handel a “pro-life, pro-constitutionalist with a can-do attitude” swung a primary. What is next? Tea Partiers love Sarah Palin, but liberals loathe her. Barnes will likely now start attacking Handel and Palin. Not himself, at least not at first. His intermediaries will start making the same tired anti-Palin arguments, and then try linking them to Handel. 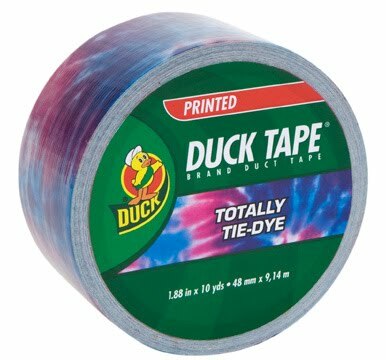 Don’t buy it. They are acting out of fear. Liberals loathe Palin because she represents the things that they hate — the vast part of this country that is not New York City or Los Angeles. States like Georgia, Texas, Kansas and Montana value life, liberty and small government. People here want low taxes and sensible immigration. People here understand that an unborn baby is still a baby. These beliefs are all shared by Sarah Palin. On top of that she, can clearly articulate these facts, and connect with the American people in a way that has not been seen since Ronald Reagan. Sarah Palin actually has an advantage over Ronald Reagan — the Tea Party movement. There was a clear conservative lurch to right in the 80s, but it was unorganized. Sarah Palin has an opportunity that has never before presented itself in American politics. She is not only the right person, in the right place at the right time. She also has the advantage of a ready made and organized army of volunteers ready to take up her cause — so long as she stays true to their cause. It’s a two way street, but she is in the drivers seat. For now, the Tea Party movement seems to be heading in the right direction. They are working with, and winning elections for conservative Republicans. This makes it easy for me to throw my support to the tea partiers. We support the same low tax, pro-life, business friendly policies that will redirect this nation back to its roots. The tea party also supports the God-given freedoms we are in danger of losing. Most importantly, it supports the right candidates. This is all important to a political movement. Palin is a great standard bearer — if she takes on the role. Let’s hope she does. The welfare of our nation may depend on it. Sarah Palin supporters who want to help Handel take it over the top, please go here to donate or to volunteer your time for phone bank and other campaign activities. You do not have to be from Georgia to volunteer – just to vote.